3W5JA team in REX Hotel, Ho Chi Minh. 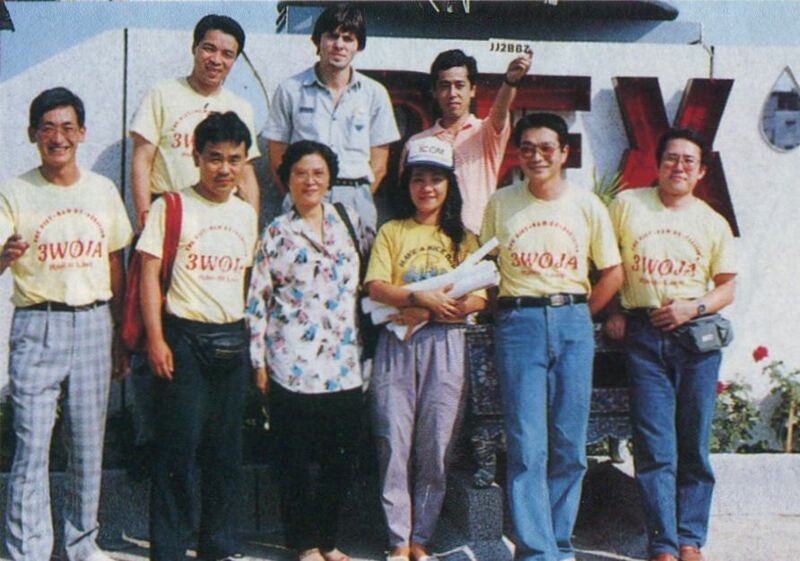 From left to right, upper row: JA7JPZ, 3W3RR, JJ2BBZ; lower row: JA2JPA, JJ6LDD, worker of PTT, translator, JA7SGV. Initially there were negotiations about getting a 3W0JA call sign, hence, the call sign on the T-shirts is 3W0JA. The embroidery on the T-shirts had been printed already before we realized that for unknown reason the ministry of communications gave us 3W5JA.